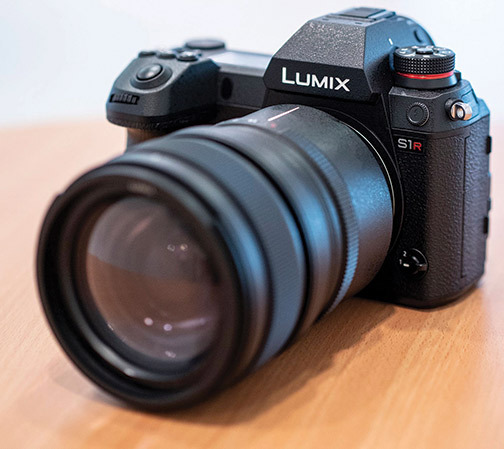 Newark, NJ—After the development announcement at photokina 2018, and a sneak peek under glass at CES, Panasonic introduced the full specifications of its first full-frame digital single-lens mirrorless cameras—the Lumix S1R and S1. Employing 35mm full-frame CMOS sensors, the cameras are based on the Leica L-mount standard. 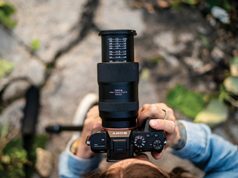 The L mount has a large inner diameter and compact dimensions for a flange focus to realize optimum size and performance as a mirrorless camera system. Moreover, leveraging the L-Mount Alliance with Leica Camera and Sigma, various interchangeable lenses are available for the Lumix S series. 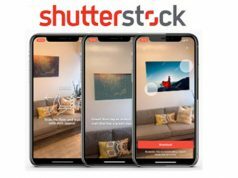 In addition, an AR coating applied on the cameras’ sensors minimizes ghost and flare, even in backlighting, to complement the performance of L-mount lenses. Both cameras employ a new Venus Engine, which is exclusively tuned for the full-frame cameras. In addition its Multipixel Luminance Generation and Intelligent Detail Processing technology realize natural, high-resolution expression while suppressing color moiré. And for true-to-life images, from low to high sensitivity, Panasonic integrated three-dimensional color control. The Lumix S1R integrates a 47.3 megapixel full-frame sensor (36mm x 24mm) without a low-pass filter to realize high resolution and descriptive performance. It achieves a high S/N ratio and maximum ISO 25,600 high sensitivity by taking advantage of the sensor’s light-condensing efficiency. The sensor adopts an aspherical lens for the on-chip micro lens to enhance light condensation. The large amount of digital signals is processed by the new high-speed, high-performance Venus Engine image processor, for both photos and video. In addition, it provides a high-resolution mode for the first time as a mirrorless full-frame camera to enable 187MP photo shooting. Moreover, while it was developed for exceptional performance in photography, the S1R is capable of 4K 60p video recording with a variety of effects. Conversely, the Lumix S1 has a 24.2MP full-frame CMOS sensor (35.6mm x 23.8mm) that provides a wide dynamic range and high sensitivities. Noise is minimized even when shot at maximum ISO 51,200, for shooting in low light. This camera also supports professional videography. 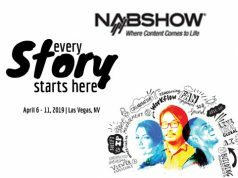 It records smooth 4K 60p video with full-pixel readout of signals in 4K 30p/25p. Its crop factor of 1.0x in 4K 30p/25p/24p means that users can record video in the original viewing angle of the lens. Also, there is no recording time limit for 4K 30p/25p/24p or Full HD video. Furthermore, the S1 complies with 4:2:2 10-bit 4K 30p/25p internal video recording and 4K 60p HDMI output, as well as V-Log, with a software upgrade key (to be sold separately). The camera records video with a designated gamma curve compatible with ITU-R BT.2100, and users can choose Hybrid Log Gamma (HLG) in photo style. Panasonic’s Contrast AF system with DFD technology evolved to make the AF system of the S1R/S1 more practical. They incorporate a body IS (image stabilizer, 5 axis) to compensate for hand shake. Combining BIS and the OIS (optical IS, 2-axis) in S series lenses, the Dual IS 2 system boasts more powerful compensation for blur. Panasonic’s new algorithm calculates shake information from a gyro sensor, the image sensor and accelerometer sensor. This makes it possible to use a 5.5-stop slower shutter speed. Maximizing OIS and BIS is beneficial in telephoto shots as well as when shooting in low light or one handed with a 6-stop slower shutter speed. Dual IS 2 works for photo capture and video recording. In addition, a mounted lens and the sensor communicate at a max 480 frames per sec. Combining the Contrast AF with DFD, the cameras achieve AF speeds of approximately 0.08 sec. They also boast burst shooting at 9 fps (AFS) or 6 fps (AFC). Furthermore, they provide 6 EV luminance detection performance with Low Light AF technology. In addition, eye AF even detects the pupil of the eye and focuses on it for portrait shooting. The S1R and S1 also incorporate AI technology that detects specific subjects—humans and fast-moving animals. The cameras track these subjects even when they turn their back to the camera. For more continuous burst shooting, 6K photo mode captures moments at 30 fps by extracting the frame with the best timing out of a 6K burst file. It then saves it as an 18MP-equivalent photo. Furthermore, 4K photo mode enables 60-fps capture in 8MP resolution. The S1R and S1 also feature a high-resolution mode that reproduces image details to be saved as RAW files. Eight images are automatically shot while shifting the sensor using the BIS mechanism and synthesized into a 187MP-equivalent (16,736×11,168-pixel) image for the S1R and a 96MP (12,000×8,000) image for S1. This mode is suitable for taking natural landscapes or fine arts; it is also useful in situations where moving subjects are included in the scene, by switching the sub mode. Moreover, the cameras’ HLG photo mode offers a new style of photo expression. It provides a wider dynamic range to reproduce light and shadow with more natural contrast. HLG photos are also produced as HSP files with compressed high-brightness signals in 8K resolution (7,680×4,320, 16:9, S1R) or full resolution (5,888×3,312, 16:9, S1), in addition to JPEG/RAW files. Users can playback these images on Panasonic HLG-compliant 4K TVs via an HDMI cable. The cameras also have a 5,760K-dot Real Viewfinder, a triaxial tilt rear monitor and a high-durability shutter unit. The 400,000-cycle shutter unit offers a maximum 1/8,000 second to capture fast-moving subjects and to use a high-speed lens with a fully open aperture, even outdoors. Users can switch the viewfinder’s 0.78x magnification to 0.7x or 0.74x according to the situation. Adopting an OLED (Organic Light-Emitting Diode) for the LVF achieves smooth display at 60 fps/120 fps (switchable). And Panasonic says it has a time lag of less than 0.005 sec. In addition, the cameras’ 2,100K-dot monitor in 3:2 aspect ratio has a triaxial tilt moving element. It also has a touch control system. And live view boost is a feature that makes it possible to check composition even in total darkness by boosting the sensitivity just for live view. Also incorporated is a night mode that provides mild backlighting. The S1R and S1 also include a status LCD on the top. With the status LCD, users can check the settings at a glance. In addition, they have a firm grip hold and control buttons (illuminated) and dials ergonomically located. Also, an 8-directional joystick supports quick operation during shooting. The cameras are composed of magnesium alloy full die-cast front/rear frames and weather seals. The S1R and S1 are splash resistant, dust resistant and freeze resistant to 14ºF. The cameras additional provide Bluetooth 4.2 and Wi-Fi 5GHz (IEEE802.11ac)/2.4GHz (IEEE802.11b/g/n) connectivity. They also have a double memory card slot compatible with SD (UHS-II) or XQD cards. Also, a 7.4V 3,050 mAh battery charges via USB PD using the bundled USB 3.1 Type-C cable. A release date is not yet set. 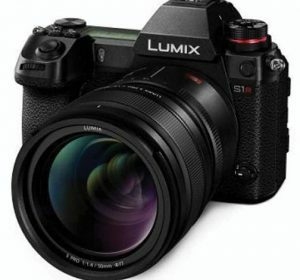 However, according to Panasonic, the Lumix S1 body will have a retail price of $2,499.99. The Lumix S1R body will retail for $3,699.99. In addition, Panasonic is offering various new accessories for the Lumix S1R/S1. They include a remote shutter (DMW-RS2); an eyecup (DMW-EC6); a battery grip (DMW-BGS1); and a battery charger (DMW-BTC14). The DMW-FL580L, FL360L and FL200L external flash units also work with the S series cameras. A 3.5mm headphone jack is also available. In addition, the cameras comply with the microphone adapter DMW-XLR1 (sold separately). This is a plug-in adapter for an XLR microphone to record high-quality stereo sound.